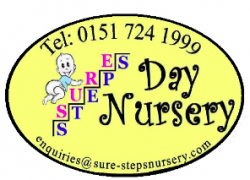 We are seeking an enthusiastic and energetic Nursery Nurse to join our growing team. We are a thriving, expanding South Liverpool nursery with a large outdoor play area and we are seeking additional team members to join us! If you have an NVQ level 3, have a sound working knowledge of the EYFS and at least 1 year post qualification experience then we want to hear from you. In return for your passion for childcare, we offer attendance bonuses, staff socials, long service bonus and additional holiday as well as a competitive salary. About us Rosedene Nurseries have a vacancy for a Nursery Manager to join our team and be part of one of the North East’s most exciting nursery groups. We currently have 16 nursery and pre-school settings and are committed to the delivery of outstanding quality childcare. We are are proud to be able to say that 100% of our inspected settings are rated Good or Outstanding by Ofsted. About you Are you an experienced Nursery Manager or a Deputy ready to take your next career step and run your own nursery setting? - Are you passionate about childcare and education? - Does the idea of working for a successful and growing company appeal to you? - Can you inspire, lead and develop a management team in pursuit of excellence in an early years setting? - Are you looking for a new and unique role to develop your career and contribution to the nursery sector and EYFS framework? What you will get - Competitive Salary - Attractive performance related bonus - 20% childcare discount - 28 days annual holiday allowance - Contributory pension scheme - Fantastic career progression - Lots of support from colleagues, Operations Manager, Finance Manager Childcare Manager and company Directors What we are looking for - A minimum of NNEB or Level 3 in Childcare & preferably a Degree in Early Years - Management experience in a private day nursery - Financial management experience - A thorough understanding of the EYFS Statutory Welfare Requirements and the EYFS framework How to apply If you can envisage yourself driving the future of our Rosedene Nursery then we would love to hear from you. Please send a CV to angela.thomas@rosedenenurseries.co.uk or call 07825515841 for more information.